Caribou Nation, we hope everyone is doing well and gearing up for Spring Time! The Caribou team recently split forces and invaded LA and NYC. Bill and Bobby were in LA and Martha, Lori, Ellie, and Rotman were in NYC. Bobby and Bill went out to do an open house in Studio City, CA at Mrs. and Mr. Charles Fradin’s home… Capital A.K.A “Frado” 19 year camper, counselor, and program director. Also, home of Noah and Daniel Fradin, multiple year Caribou campers. The open house was amazing! the Fradins have a pool (they didn’t swim, it was a bit to cold) they got paddle tennis courts on a full length basketball court, wicked cool. They got two in ground tramps with a basketball hoop next to them. Erik Norfolk, soon to be new camper, was tramp slamming on the 10 foot rim, his brother Ian Norfolk, who will also be coming to Caribou this summer, was there, the two love skateboarding, stand up paddle boarding, water skiing, wake boarding, and can’t wait for June 27th. BouYah. Cooper Pate, new guy from Studio City, lives 4 doors from the Fradins, will be joining the 11 year old age group this summer, he loves all sports, but especially basketball. He was shooting the lights out of Frado’s court. 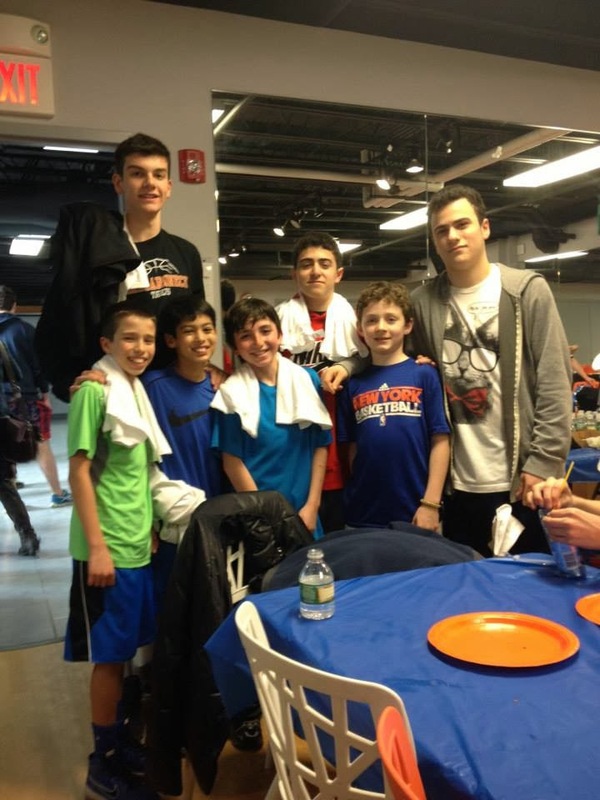 He knows Avi Kapadia and is looking forward to balling out with the 11u Bball squad. 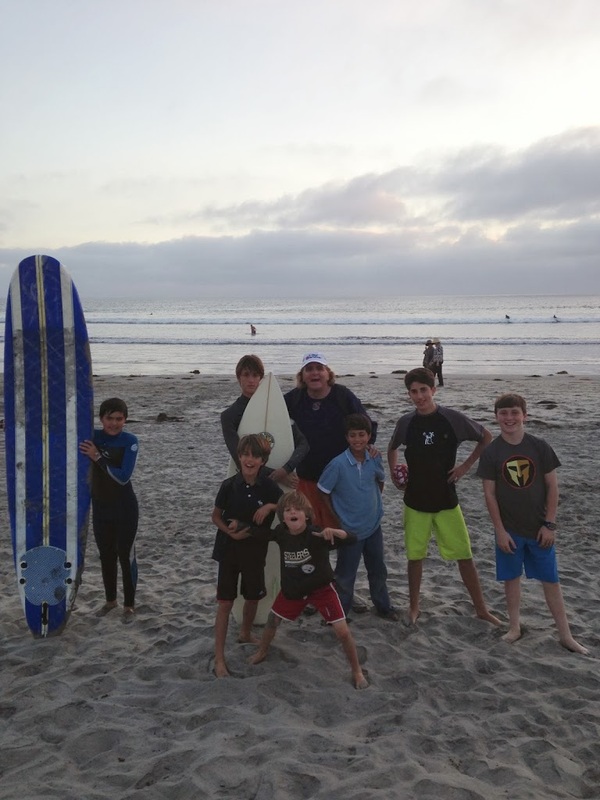 Bobby and Bill spent several days in LA recruiting new campers and then proceeded to Coronado, CA. Coronado is the island opposite of San Diego. They went there and met with Andres, Santiago, Patricio, Diego, Danny and sister Maria Girault. They live in a condo on the beach, directly next to the US Navy Seals Training Center. WHO-AHH. Bill and Bobby played beach football and hung out with all the Giraults and they’re friends on the beach. They were also fortunate in meeting lots of the boys friends who are interested in coming to Caribou this summer. They met Ryan and Garrett Sauter, Charlie Tomlin (C-Tom), and JJ Pintado. They were able to show everyone who attended the new Caribou Video in the hotel Del Colonado. The hotel is unbelievably amazing. It was built in 1888 and is the largest wooden structure remaining in the Unites States. The place was Disneyland, multiple pools, spas, beach front, etc. The Giraults and their buddies spend their time surfing, skimboarding, bike riding, scootering, skateboarding, playing beach football, and chilling in SoCal. We want to thank the Giraults and Fradins for their tremendous hospitality. We would love to come to your area and have an open with you and your friends, anytime you wish. As Bill and Bobby were all over SoCal… Martha, Lori, Rotman, and Ellie were on the east coast for the NY Caribou Reunion at the House of Sports. The reunion was AWESOME!! They kicked off the event with a little entourage to get everyone movin’ and screamin’. From their the crew of 56 campers split up and played gaga, dodgeball, and flag football. Sam Cox threw it down in the gaga pit, Dylan Lublin was holding his own on the dodgeball field, and Gabe Pinkus, Max Kaufman and Andy Godnick ran the show on the field turf. We have to point out Martha’s GaGa skills, UNREAL, who knew!! After about 45 minutes of playing around, we organized a 30 v 30 dodgeball match. Cole Cutlip and Jeremy Wolf had the great idea of using mega earth balls as protection. The game was massive and everyone had a great time. At the end we all gathered for pizza and snacks. 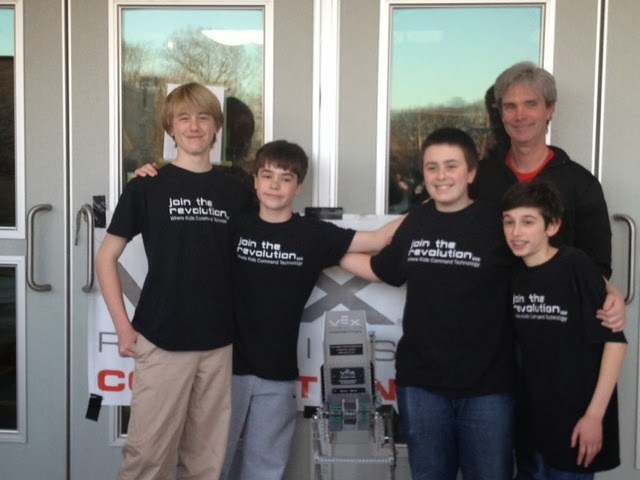 It was great to catch up with everyone and one of the highlights that we heard was that Max Fisher recently won the New Jersey State Robotics Championship and is now off to CA for the World Championship in April, Good Luck Max! The NY Reunion was so much fun and we want to thank everyone for coming out. Keep in touch… 121 Days until Camp BEGINS!